When you’re shopping for a particular product (or hiring a photographer), it’s likely you have an idea of what you’re looking for in your mind. When you’re on the other side of the proverbial cash register, what the customer is looking for in your product can seem like a mystery. Why? Because of what author and brand expert Donald Miller calls “The Curse of Knowledge.” In a nutshell, you know too much about your product to properly explain it to someone who knows nothing about it. Not to worry. We can fix this. As photographers, our strong suit is creativity and we can use that to connect the dots between our services and our client’s needs. Here are the top three things I have found consumers looking for in their photographer. 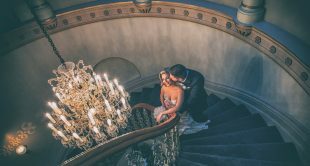 This may seem obvious, but when a couple is hiring a photographer they want to feel like they’re the only client. Of course you’re interested in them and their photos. But sometimes, clients feel like you’re only interested in their money. Photographers can get so excited when leads come in that every point of contact becomes all about the photographer and how great they are. Instead, shift the attention to your client. Focus on them and what they are looking for. Find ways to for them to share who they are and what they are looking for. Sometimes, all you have to do is ask to solve the mystery. 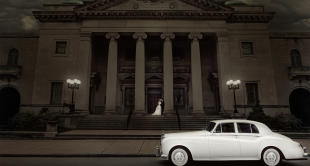 Photographers, like any other business owners, have to sell a whole lot more than just photos. Always remember what I like to call the ‘three Ps’: Product, Price and Personality. Personality is a fun one. Consumers are smart and thanks to visual social media, even mom-and-pop shops are expected to come with a brand experience. I’m not just talking about logos and packaging — although that’s part of it. Personality plays a part here as well. In 9 Secret Ways to Brand Your Business I outline the best ways to brand your company with a personality-forward approach. Pricing is the one where most of us cringe. I’d like to change the mindset here and say that just because a client is looking for pricing does not mean they’re price shopping. 99% of people in the world have to live within their means and that means spending money appropriately. If they can’t afford you, they can’t afford you. Take their word for it and simply find people that can. Just display your pricing as attractively as possible and find the client that values your work. Product is a great way to engage with customers. Sure it’s about the quality of photography, but often consumers don’t know how to tell the difference between good and great work. So, appeal to them on a side they do understand with fun products. Find things like acrylic prints that they can’t get anywhere else. Or give them the opportunity to physically feel the deep matte paper your albums are printed on so they fall in love. Gone are the days of traditional advertising. Instead, your clients are looking for a photographer they “discover” themselves — one that hasn’t hit them over the head with ads. How does that happen? By connecting with them organically, making other people talk about you (in a good way) and casting a wide marketing net. It’s not easy. It does require work. But having clients find their way to you through non-traditional means of advertising typically results in a stronger professional relationship. 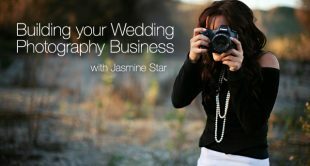 Learn the ins and outs of the wedding photography business. RSVP to hear more from Vanessa Joy.